I don't know what it is but I get a bit of a buzz out of saving money. I'm by no means tight with my money, I do make the odd impulse purchase but I am also careful with my money in the right situations, and always try and look for a better bargain. Unfortunately though, money doesn't grow on trees, and sometimes I want to live a lavish lifestyle which my money wont stretch to. I'm lucky that my partner has recently landed a very well paid job, so I feel we can afford a little more now, however I still like to think I can live a lottery winner's lifestyle, when in fact I can't. 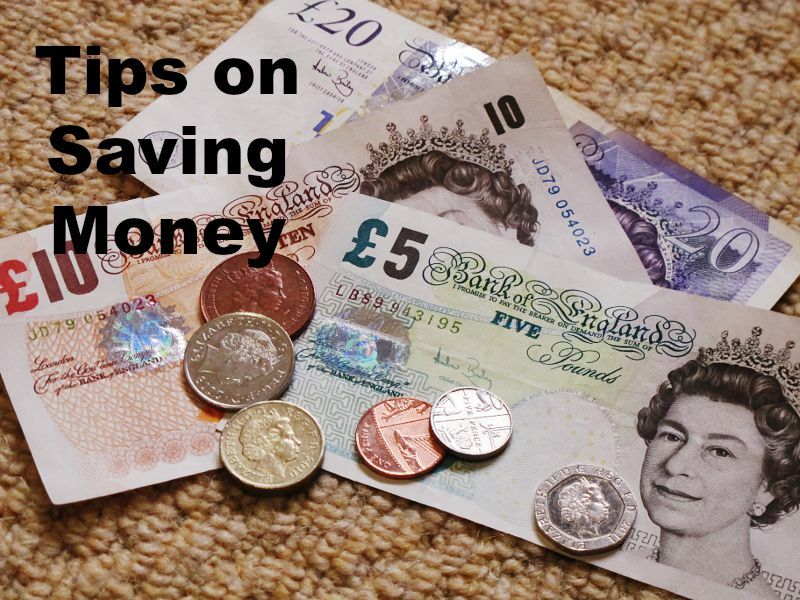 Here are my top tips to help save and make money in order to get closer to that champagne lifestyle that most of us secretly want. 1. A real obvious one, but all those old clothes that you no longer wear? Get them on eBay. I've been selling on ebay for many years now, and if I decide I want to go somewhere that I probably can't afford, I get sorting through my clothes and pop them on eBay. When I have a big clear out I can often make anywhere between £100-£150. I'm used to eBay now so I know what will sell and what wont. A little tip - Don't try selling summer clothes in the Autumn/Winter. People aren't looking for them.. so think about the seasons and sell accordingly. 2. Make use of all those clubcards and vouchers that you receive through the post. With my Tesco clubcard points, last year I managed to purchase 1 ticket into Disneyland Paris, and also a meal for 2 at Pizza Express when we went on a city break to Liverpool. As for the money off vouchers that you receive through the post, try plan your meals around them. I often receive money off vouchers from Matalan, so if I know an occasion is coming up that I may need a dress for, I'll try use this voucher. However don't feel forced to use vouchers un-necessarily. Remember this is all about saving! 3. If I purchase anything online, before I go through check out, I always search for promo codes for that particular shop that I'm buying from. You may find a free P&P code, or 25% off if you've spent a certain amount. There's usually always a code laying around. 4. Another obvious one, but use the comparison sites for any big purchases. They can save you £££. Don't forget, their not just for insurances. There are comparison sites for hotels, technology equipment and even clothes. 5. Sign up to survey websites that offer you money for completing surveys, and in exchange you can swap them for a variety of vouchers. I currently have almost £10 sat in one account which I am shortly going to be exchanging for a boots voucher. Along with this I will use all my points on my boots card and I will have approximately £30 that I can then spend on make-up essentials.. all for free! 6. I know this one isn't for everyone, but wander around charity shops/car boot sales/browse eBay. It's amazing what treasures you can find for a snippet of the price. I recently bought a gorgeous dress from eBay that still had its tags on so had never been worn - this dress was still on the website for £55 and I won it for a mere £2.99. You're a fool not to! 7. If you're anything like me and love a bit of home interior, you're forever switching things around and re-decorating. This can get pretty expensive, however be clever with your items. Up until a few months ago, I had red accessories in my kitchen but I wanted to change everything to a pastel colour scheme. I had a white hanging heart with a red gingham ribbon, and obviously wanting to come away from red, I simply untied the red ribbon and swapped it for a floral one so it matched my kitchen again. I had another wooden shabby chic style plaque with red paint detail on. I carefully painted over the red with baby pink, and it completely transformed the plaque and fitted in perfectly with my kitchen! A cupcake trinket jar was predominantly red which I spray painted baby blue. You get the idea. A few materials that I already had lying around the house saved me £££. 8. A really simple one that probably many of you already do, especially if you have children... We are always going on city breaks or driving to airports. I began to notice as soon as we'd set off from the house, we'd go get petrol, and it became a habit to buy 2 drinks in the petrol station 'for the journey'. I know this is only a few quid, but now, with some travel mugs I already had in the cupboard, I make sure I fill these with drink and bring them with us for the journey. 9. I like to dine out quite a lot. This can get pretty pricey if you do it on a regular basis. Before you decide on where you are eating, it maybe worth having a quick browse to see which pubs/restaurants are doing deals. I always see lots of promotions, or special days where food is cheaper because its 'steak night' or 'burger night'. 10. This is a popular one now, but meal planning can save you SO much when you go food shopping. Meal planning is a tedious and time consuming task, especially if you don't have input from others, but it prevents you from throwing items into your trolley 'just because', and has often saved us up to £30 per week before. 11. The colder months are upon us. I feel like I've missed the season transition this year because I've been in Florida for half of September, so I'm feeling the cold more than others! However before automatically resorting to putting the heating back on, try and layer up first. Grab a jumper and make sure you have socks and slippers on your feet. Obviously in a few more weeks you wont have any choice but to put the heating on, but try hold out as long as you can by putting your own preventions in first. (I obviously don't advise this if you have a new born baby or young child though!). Keep all doors closed to keep the heat in. Only open windows if necessary, and once you've finished cooking in the oven, keep the oven door open (if no children are around!) - it's technically free heat for a short while! 12. A real obvious one, but one I've been known to do occasionally - in the sales, whether that be New Year sales, bank holiday sales, black Friday etc, stock up on any upcoming birthdays or Christmas's! Yes - I've been one of those that have bought a handful of half price gifts from Boots, ready for the following Christmas. No shame! Do you have any good saving tips that I haven't already mentioned? I'd love to hear them! This is really helpful. I need to get a load of my stuff on Ebay, I have so many dresses I just don't wear anymore. What surveys are you signed up to? Regarding the dresses, join the club! I'm clinging onto loads that are a size or two too small for me but I don't want to part with them because I still love them! Yeah, you ought to try the oven one, its surprising how much heat it gives off! I'm signed up to valued opinions and a new app called Voxpopme. I'm also signed up to a load of market research ones..